Whilst Robotic Process Automation (RPA) is a game-changing technology for data-intensive back office functions like fraud management and revenue assurance, the successful adoption of RPA requires more than the purchase of the right software. In the risk and compliance area, RPA adoption is still at an early stage of progress, but substantial gains have been made already. Most telcos already have software that identifies potential leaks and frauds, and these will typically be managed as cases. Each case file is a virtual hub of essential information, which can be communicated and escalated to teams throughout the telco as investigation and remedial work progresses. You can think of each case as an evolving bundle of data, which is added to and refined as more people work towards the resolution of the case. This makes case management a perfect resource for defining the RPA roadmap, and the associated priorities for revenue assurance and fraud management. 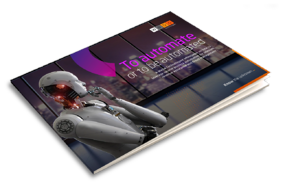 Download this ebook and learn how you can you use robotic process automation (RPA) to empower your risk management team.